When Robert was first referred to Ability Links he was feeling down about the state of cleanliness of his home and a bit lonely. Previously, Robert had been a very house proud man, however, severe arthritis combined with Myoclonus meant he was unable to do many of his day to day house chores, which in turn was making him anxious and depressed. So when Robert met up with his Linker he asked for support to help him find someone that could help him clean his home and have the patience and understanding to help him sort personal belongings. Fortunately, Robert’s Linker knew just the right person for the job. Tracey had previously been linked by Ability Links to work as a cleaner at a local motel, however, felt the pressure of cleaning a motel room in just 15 minutes was too much for her to manage and she resigned a few months later. So when Robert’s Linker called to pitch the idea of working with Tracey she was happy to give it a go. Soon after Tracey’s first day cleaning for Robert, he called the Linker to say that even after one hour of Tracey cleaning his home, he felt better, his mood had lifted and he was feeling more positive. Robert told the Linker having Tracey clean once a fortnight has really motivated him to keep on top of his mental health and assists him in staying connected with others in the community. Since their initial meeting, Tracey now has 10 houses each fortnight that she cleans, many of which have been via the Linker speaking with others in the community, friends and family who were in need of a cleaner. The Linker said both Robert and Tracey now have a better outlook on their lives and have developed a strong friendship. 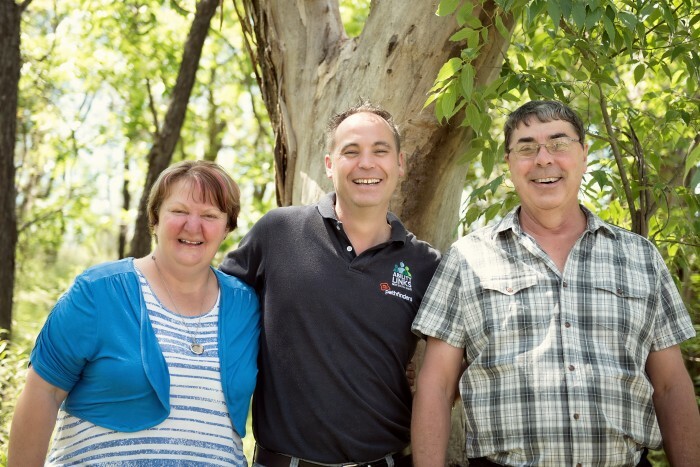 Tracey and Robert’s story demonstrates how pivotal Ability Links has been in enhancing the wellbeing of those who participate in the program. In the North West and New England regions stories like these are becoming commonplace – if it were not for the program Robert would be living in a depressing environment and Tracey would not be running her own business. The program is breaking the cycle of poverty, loneliness and isolation that many Ability Links’ participants experience, not just because they have a disability but because living in regional and rural Australia presents its own challenges of distance and disadvantage. Ability Links has been a game changer for many of our communities. It is inclusive, educative and driven by purpose and compassion. It has seen welfare dependent people get on their feet, find new skills and find work. Its success can be measured not just by the financial contribution it is delivering to the region but in the significant social value it is contributing to individuals, their families and the community.